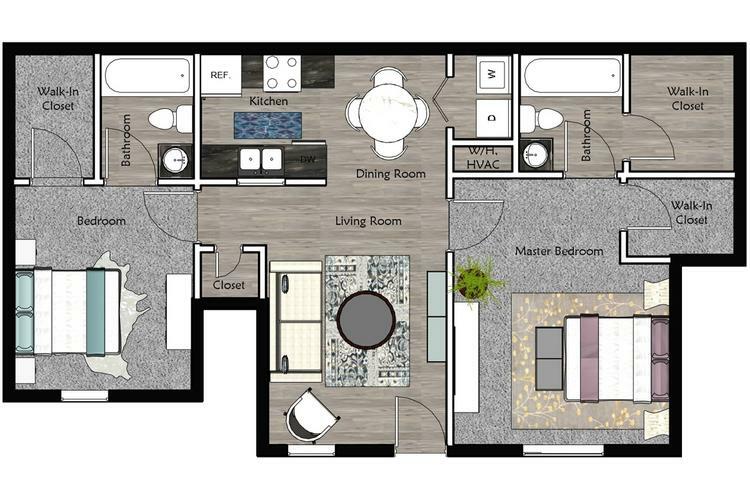 The Cameron townhome floor plan provides the perfect space for you and all your needs for a comfortable and luxurious lifestyle. Enjoy separate living room and dining room spaces, and a gorgeous renovated kitchen for entertaining. 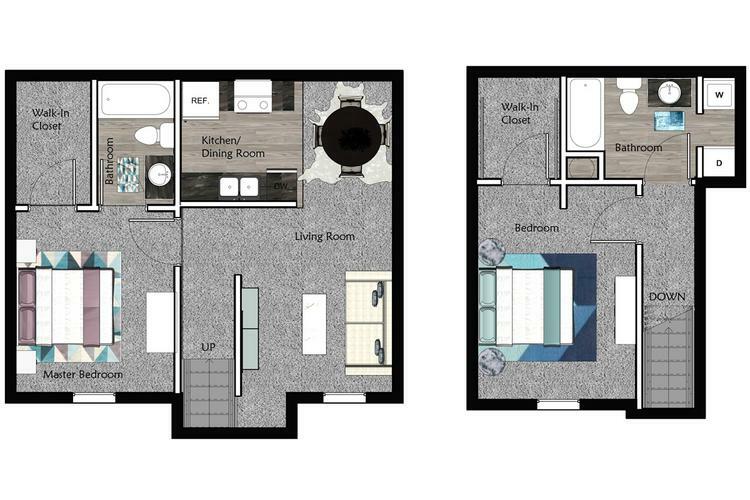 The Pointe is our two bedroom townhome that provides you with a tasteful and spacious layout featuring multiple walk-in closets, two spacious bedrooms and plenty of storage! Connect with your inner chef while you cook in your gorgeous kitchen. It is the perfect place to call home. Enjoy this modernized first floor apartment home with grey wood-style flooring throughout. 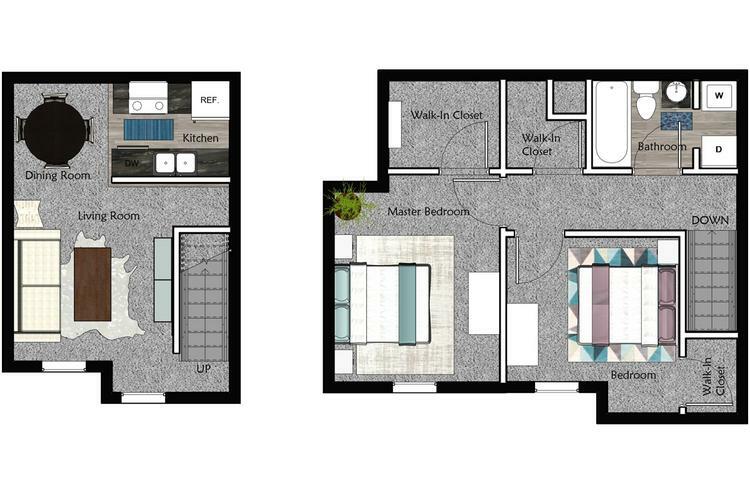 Enjoy this open floor plan with an abundance of space for entertaining, relaxing and living!